Learn the trendiest craft right now…embroidery. 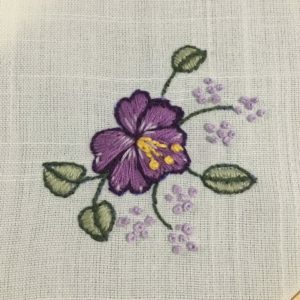 Super simple to learn…think of it as coloring with thread! Check my calendar for upcoming classes or contact me for private lessons. DMC has generously sent the sawmill lots of product for me to share with you to create wonderful projects. At all future classes there will also be giving away prizes also sponsored by DMC. Copyright © 'Sawmill Camerretti' All Rights Reserved.